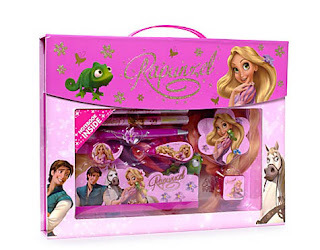 I mentioned these fab Disney Stationary sets in my back to school post and now I have some to giveaway. The reusable Cars and Tangled carry cases are packed with everything a little one needs to get organised in the stationary department including pens, highlighters, notebook, ruler, sticky notes and tape. 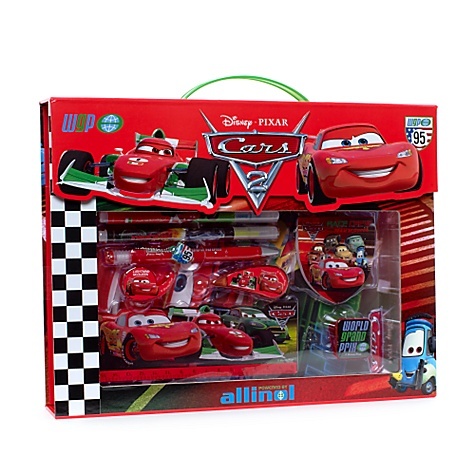 I have one Cars and one Tangled set worth £10 each to give away - please make sure you state which design you'd like to win. Enter using this really cool new geeky widget! Hi have done it all!! if i win i would love the Rapunzel one please. Favourite Disney character has to be Mickey Mouse. Got to be Cars - my son Samuel is mad on cars. I would love to win the tangled one please! I would like the Tangled set, please. Thanks. We are all slighlty obsessed with 'Finding Nemo' at the moment but my little girl has just discovered Mary Poppins yipee!! Mater is my fave character. Would love the Cars set. Thanks. My favourite Disney character is actually Mater from Disney Cars! And my 3yr old son would LOVE this prize!! I'd like the cars one please , and favourite disney character is Timon from the Lion King. I'd like to win Cars. well I'll say tangled as both my kids love it! I really don't mind which set I win. I have 4 boys, all heavily into Cars, and 1 very arty daughter. we'd like the cars set please. My favourite Disney character is Ariel, The Little Mermaid. We would love the Tangled set please. I also follow you on GFC. Thank you so very much for this wonderful competition! Mater from Cars is my favourite. I'd like the Cars set if I win please. My favourite Disney charactor is TIGGER! My favourite character is the Little Mermaid, but I would love to win the Cars set please! My 3 year old daughters favourite character from disney is Jack Frost from The Santa Clause 3! My favourite character is Roo. I would like the cars set. Would love Tangled for the grand daughter.